The monthly data releases this week were mainly about housing. Permits, an important long leading indicator, rose to a 3 year high. Starts were flat, as were existing home sales. New single family home sales also rose slightly. February leading indicators rose .7, although January was revised down from .4 to .2. The Conference Board's official measure indicates we should be going through a rough patch right now, but growth should reassert itself going into late spring and summer. The Mortgage Bankers' Association reported that the seasonally adjusted Purchase Index decreased -1.0% from the prior week, and was -1.9% lower YoY. The Refinance Index decreased -4.1% from the previous week, reflecting higher rates. Because the MBA's index was substituted for the Federal Reserve Bank's weekly H8 report of real estate loans in ECRI's WLI, I've begun comparing the two to see if there are some important differences. There are. This week for the first time in nearly three years real estate loans held at commercial banks were flat (technically, -0.02%) rather than negative on a YoY basis. The seasonally adjusted data has turned up sharply since its possible bottom in December 2011. YoY weekly median asking house prices from 54 metropolitan areas at Housing Tracker were up +3.6% from a year ago. This number peaked at over +4% in February. It remains at odds with the Case-Shiller reports of worsening YoY declines in price for comparable sales. On the other hand, Housing Tracker's reversal of direction was supported this week by the Census Bureau's report on new home sales and by the NAR's report on existing home sales, both of which showed YoY increases in price, and by FHFA's January home sales report, which showed only a -0.8% decline YoY. Typically non-seasonally adjusted home sales prices peak in about June, so we should see in the next 14 weeks which one of the two metrics is going to turn. The Department of Labor reported that Initial jobless claims fell 3,000 to 348,000 last week, the lowest initial report in 4 years. The four week average declined by 500 to 355,000. The Daily Treasury Statement showed that for the first 16 days of March, $131.7 B was collected vs. $128.6 B a year ago. In the last 20 reporting days, $162.2 B was collected vs. $157.9 B for the equivalent 20 day period in 2011, an increase of 2.7%. 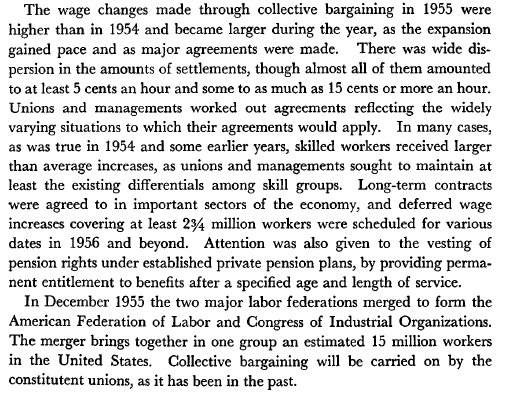 The American Staffing Association Index rose by one to 88. It remains midway above its 2011 level and below its 2007 level and has begun to rise seasonally as expected. Sales turned more strongly positive. The ICSC reported that same store sales for the week ending March 17 rose +0.9% w/w, and also rose only +3.3% YoY. Johnson Redbook reported a 3.6% YoY gain. This week was the best week in over a month. The 14 day average of Gallup daily consumer spending rose to its highest springtime level in 4 years, after having been briefly negative YoY at the beginning of this month. Shoppertrak's data for the beginning of the month was also belatedly reported as off -3.4% YoY. M1 rose +0.4% last week, but was lower by -0.2% month over month. On a YoY basis it rose to +17.9%, so Real M1 is up 15.1%. YoY. M2 was up +0.1% for the week, and also up +0.2% month over month. Its YoY advance rose slightly to +9.9%, so Real M2 was up 7.1%. Real money supply indicators continue slightly less strongly positive on a YoY basis, although not so much as in previous months, and have generally stalled in the last couple of months. Weekly BAA commercial bond rates rose +.17% t0 5.28%. 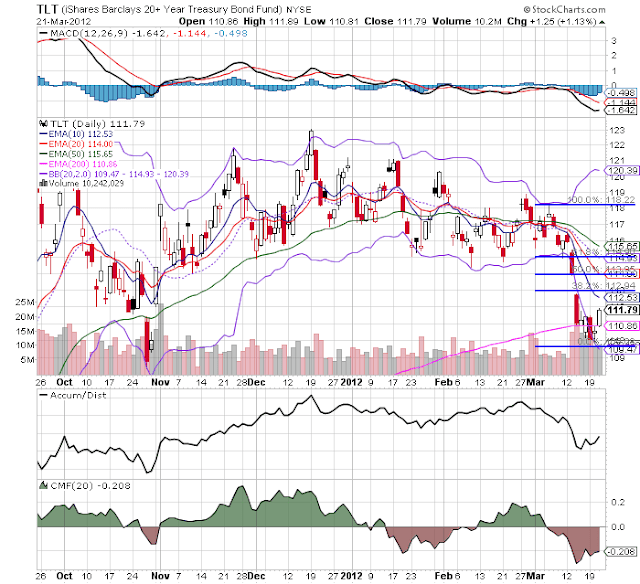 Yields on 10 year treasury bonds rose +.21% to 2.21%. The credit spread between the two, which had a 52 week maximum difference of 3.34% in October, declined another .04 to 3.07%. As I have previously said, narrowing credit spreads are not at all what I would expect to see if we were going into a recession, and are a major reason why ECRI's WLI growth index is on the verge of turning positive. 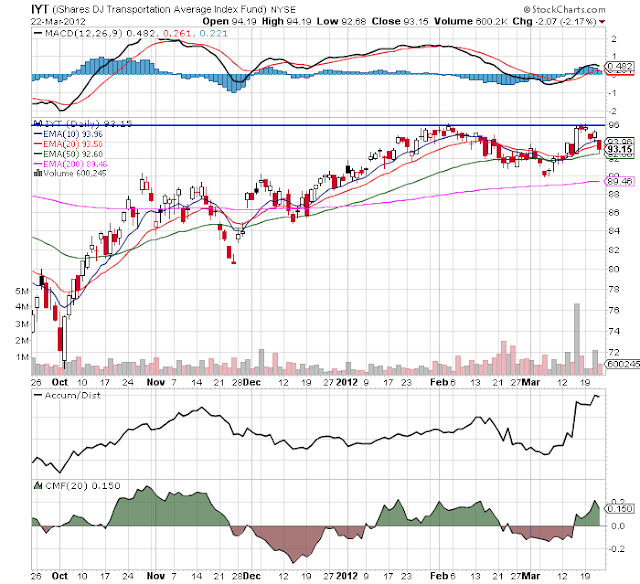 The American Association of Railroads reported a -11,100 car decline in weekly rail traffic YoY for the week ending March 17, 2012, for a decline of -2.2% YoY. Intermodal traffic was up 4500 carloads, or +2.0%, but other carloads decreased -15,500, or -5.3% YoY. The entire decline in carloads is still due to coal shipments which were off -19,500 carloads or -14.7%. Railfax's graph of YoY traffic by types remains in a positive trend but deteriorated this week. Gasoline prices are about 8.7% higher than one year ago while usage continues to be much lower: Oil was slightly lower at $106.87. Gas at the pump rose another $.04 to $3.87. Both of these are significantly above the point where they can be expected to exert a constricting influence on the economy. Gasoline usage, at 8379 M gallons vs. 9074 M a year ago, was off -7.7%. 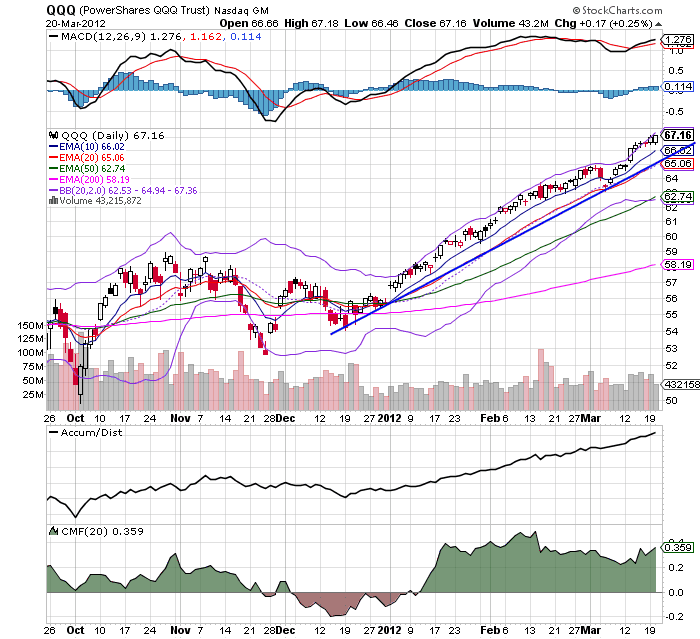 The 4 week moving average is off -7.8%. The 4 week average is off sufficiently both from a year ago, and from its YoY readings from the last 6 months, to be a yellow flag warning of further economic weakness. The TED spread rose .01 to 0.400. This index remians slightly below its 2010 peak, generally steady for the last 5 weeks, and has declined from its 3 year peak of 3 months ago. The one month LIBOR declined .001 to 0.241. It is well below its 12 month peak set 3 months ago, remains below its 2010 peak, and has returned to its typical background reading of the last 3 years. The Baltic Dry Index at 908 was up 34 from 874 one week ago, and up 258 from its 52 week low, although still well off its October 52 week high of 2173. The Harpex Shipping Index was up 7 from 386 to 393 in the last week, up 18 from its 52 week low. Please remember that these two indexes are influenced by supply as well as demand, and have generally been in a secular decline due to oversupply of ships for over half a decade. 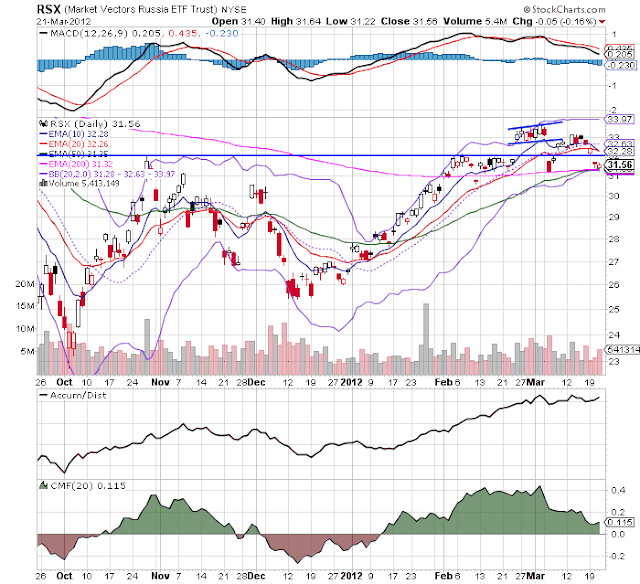 The Harpex index concentrates on container ships, and led at recent tops and lagged at troughs. The BDI concentrates on bulk shipments such as coal and grain, and lagged more at the top but turned up first at the 2009 trough. Finally, the JoC ECRI industrial commodities index fell from 126.06 to 125.74 I have added this report as an indicator for the global economy, which ought to suggest a severe limitation I helieve it has as a barometer of the US economy alone. While gasoline prices remain an ongoing concern, and while decreased mining, shipping, and usage of coal (probably due to the non-winter winter) will exert a negative influence on Q1 GDP, the remaining indicators were virtually all positive this week. There is no sign whatsoever of any imminent economic contraction. To the contrary, that almost all housing and real estate data has turned flat or is rising slightly is a very good sign for the economy going forward. We'll see what happens with construction spending and the Case-Shiller indexes this coming week. 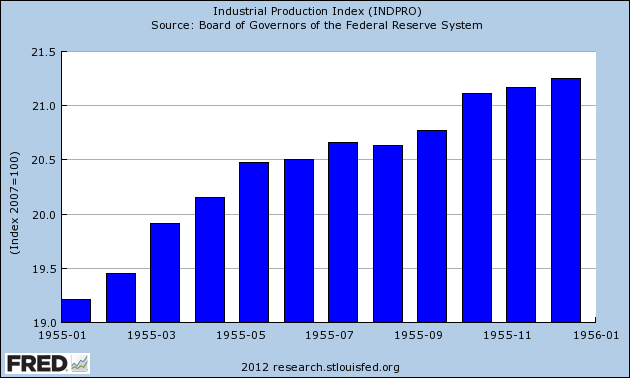 The above FRED chart shows that industrial production grew throughout the year. We see production increase in the first quarter, sow its rise in the second and third, and then continue to rise in the fourth. 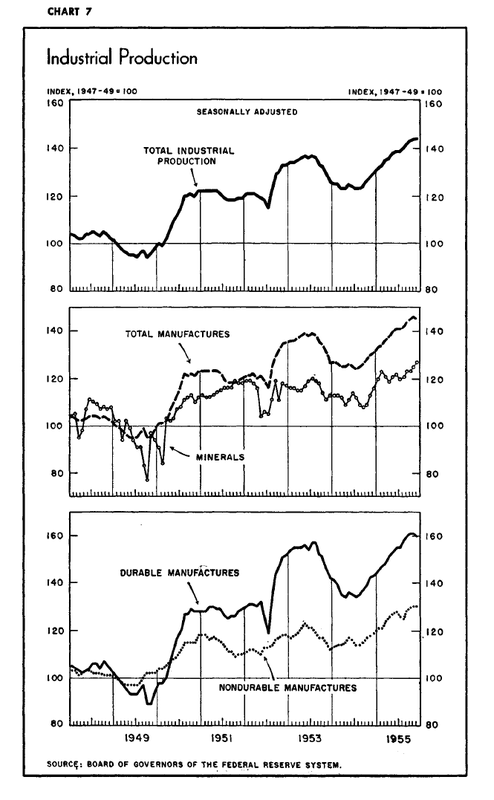 The above chart from the ERP shows that both durable, minerals and non-durable manufacturing contributed to the rise. 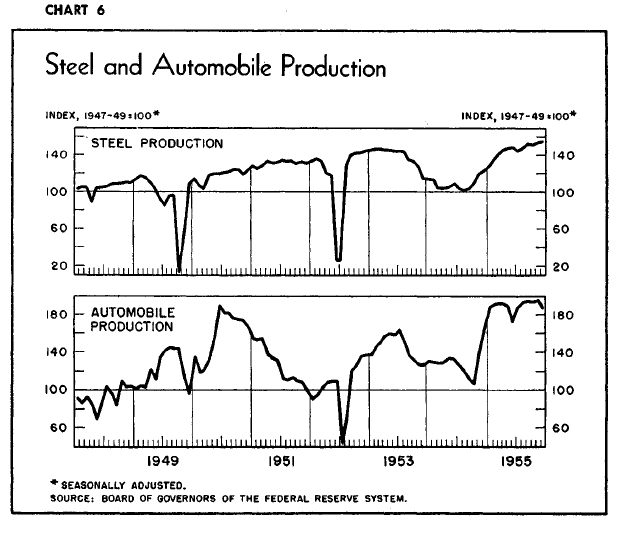 Steel production rose for most of the year, while auto production saw a mid-year dip and a tailing off at year end. 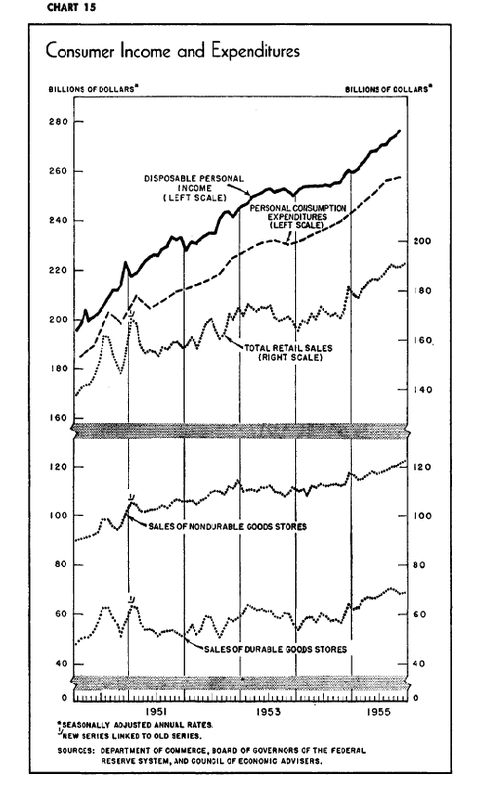 Essentially, industrial production was the beneficiary of consumer demand. 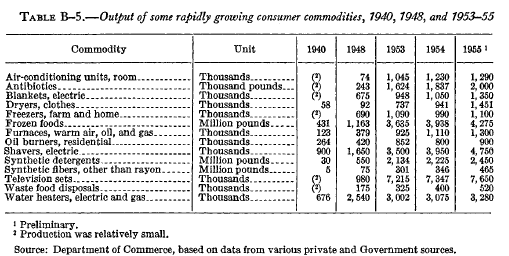 As the US consumer wanted more and more "stuff" the industrial sector obliged with products. Less than two weeks ago I wrote that Gallup's YoY consumer spending had turned negative for over a week. This is their daily tracking poll, and it was one of the very few times since the trough of the recession that it was negative on a YoY basis (since it is not seasonally adjusted, this is the only way to track it). I said at the time that I didn't want to over-sell the data, and that's fortunate because it looks like I unintentionally bottom-ticked it! Since then, not only has it turned around, but as of the last two days is close to the highest it has been, ex-Christmas season, since January 2009, at $75. The only other times it has been this high are two weeks last July and August, and one week in June 2010. It is now $10 higher on a 14-day rolling average than it was last year at this same time. ICSC and Johnson Redbook seem to be showing the same rebound as Gallup does, as of last week. I wouldn't entirely write off the negative data from two weeks ago, though. Not only did it coincide with ICSC same store sales only being up +1.7% YoY, but we now know that Shoppertrak's same store report was actually negative by a whopping -3.4% YoY that week as well. In any event, the battle between consumers and high gas prices continues. The above 60 minute charts show that prices have been consolidating for the last 5 days. 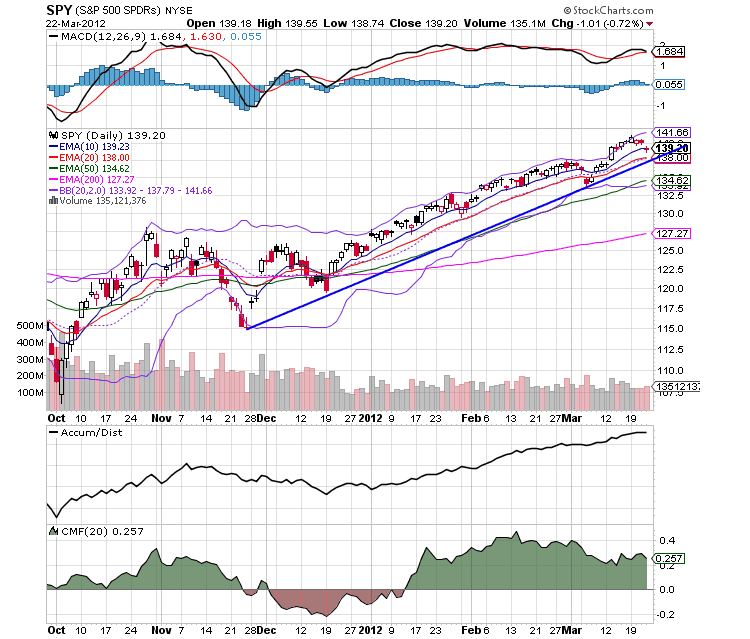 All have broken short-term trend lines. The QQQs are moving sideways while the IWMs and SPYs are moving lower, with the IWMs' at the 61.8% Fib level and SPYs approaching it. 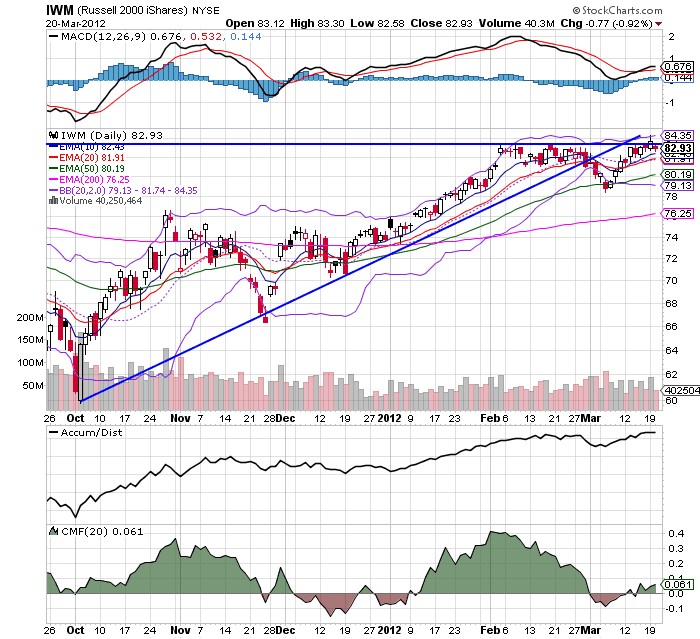 The above chart show the SPYs and QQQs are still in an uptrend, but the IWMs have yet to break through resistance. This is a bit troubling, as a strong rally higher should include the Russell 2000. 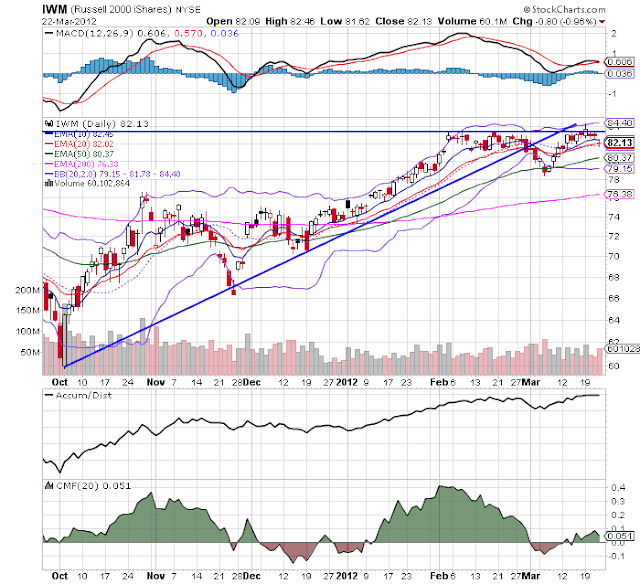 The transports are in the same position technically, as the IWMs -- they haven't moved through resistance established in early February. Part of the reason for the last few days of equity market action is the rebound rally in the treasury market -- yields are attracting some investors to move back into the market. However, as I pointed out yesterday, foreign equity markets in the BRIC areas are consolidating or moving lower. In addition, there is concern about European Growth after the release the EU Markit manufacturing and service sector statistics. This post is part of the Bonddad economic history project. The purpose of this is to go back through the US' economic history, year by year, to see what happened and why it happened. 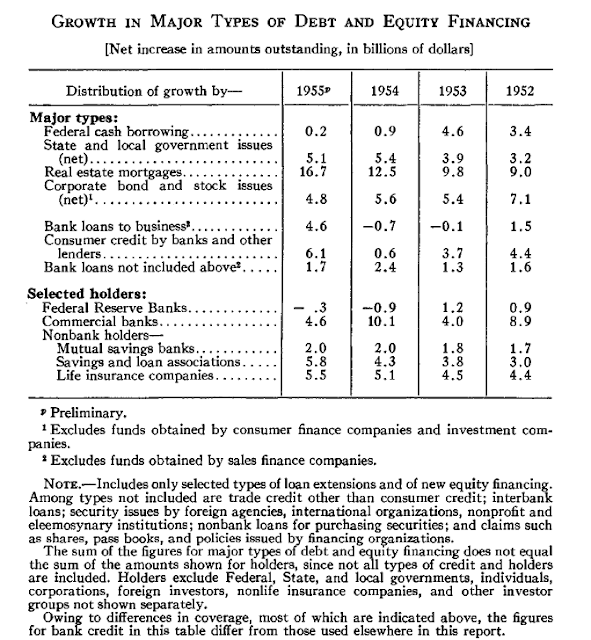 In 1955, investments occurred on a variety of fronts. The first quarter saw a huge increased in private inventories, while equipment and software contributed to the second and third quarter growth. 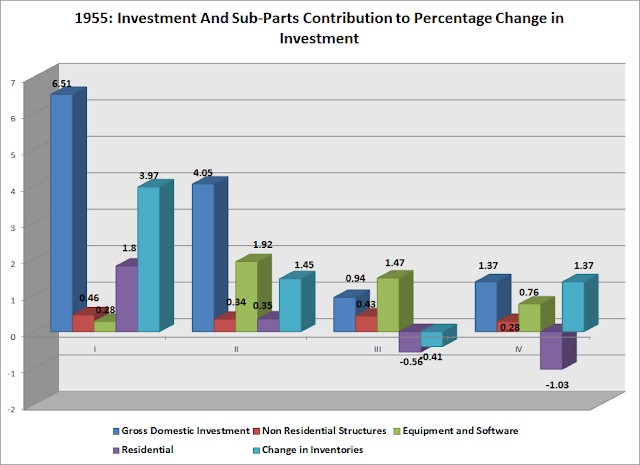 Inventories and business investment was largely responsible for investment growth in the fourth quarter. The above chart from the Economic Report to the President shows the importance of a variety of construction to overall growth. Industrial capacity was hitting its maximum, which required businesses to increase structural investment. The housing boom was underway, leading to the increase in residential investment. 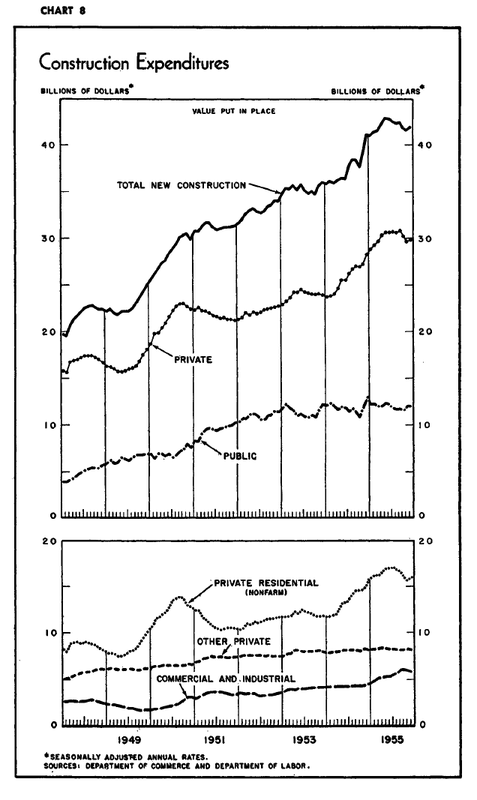 The above chart puts the early-mid 1950s construction boom into perspective. 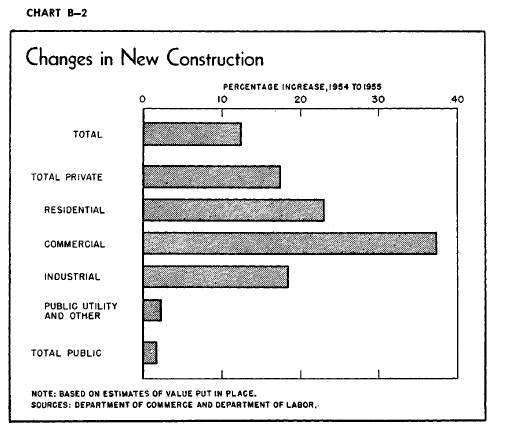 Notice the incredible ramping up we see in 1954 in the residential area, but also how a variety of sectors contributed to overall growth. 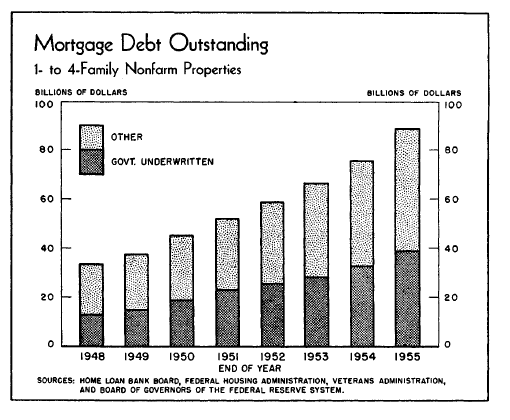 The above chart shows that real estate mortgages grew strongly for the four years of 1952-1055, but great an an especially strong rate in the 1955. Does lackluster YoY GDP growth always worsen into recession? 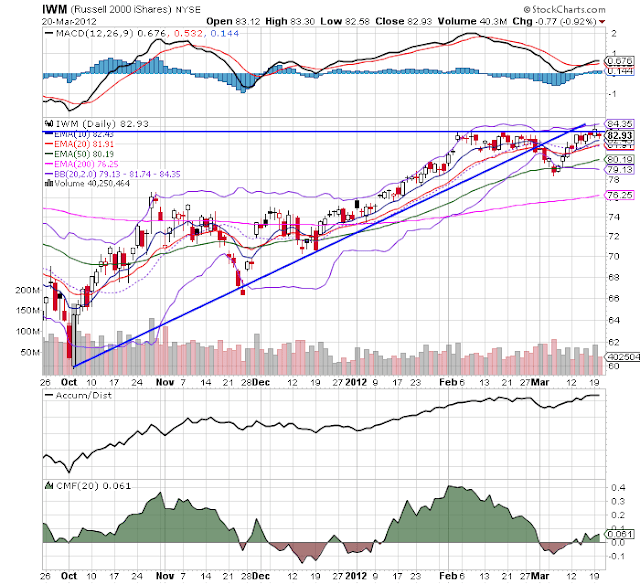 This post continues the re-examination of my January forecast. It has been contended that whenever YoY GDP growth declines below 2%, a recession inevitably follows. We have had real GDP growth under 2% YoY for 3 quarters now, therefore we are on the cusp of another recession. Is that true? - (1) in 1953, there was one YoY period that came in very slightly under 2%, and yet did not lead to a recession. 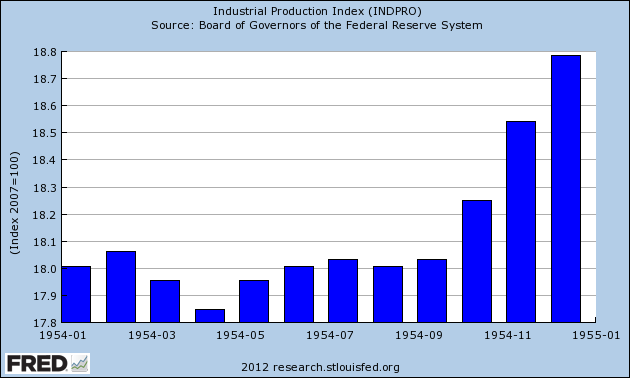 - (2) in 1996, there was a near miss, where GDP came in just barely above 2%, and yet there was no recession. 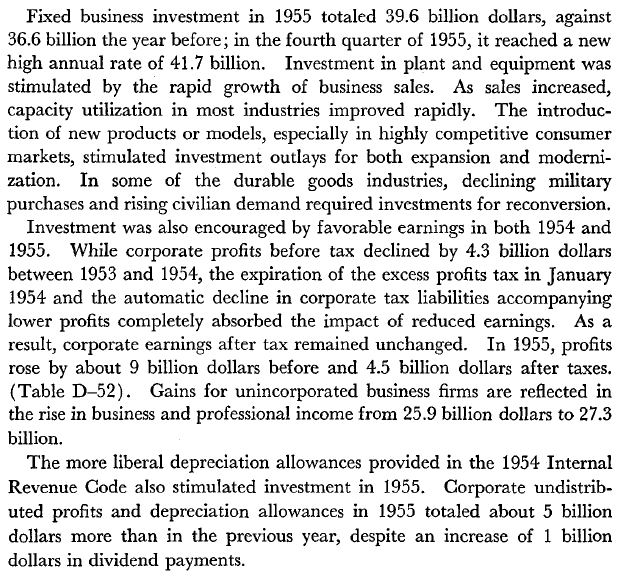 - (3) with the sole exception of 1956, at no time was there more than one quarter of growth under 2% before a recession. - (4) otherwise, there was only one quarter of GDP growth under 2% before the recession began - in 1980 and 2007. - (5) in 2002-03, there were four of five quarters in a row that featured YoY GDP growth under 2%. Not only did no recession follow, what did immediately follow was the strongest growth of the decade. In short, there have been two periods previous to the present of growth meandering above and below the level of 2% GDP for substantial periods of time. On one of those occasions, a recession followed. In the other, it did not. Otherwise, growth either resolved very quickly into a recession after no more than one quarter of growth under 2%, or else stronger growth immediately resumed. If you look at all the occasions in the last 50-plus years when [ ] growth fell to 2.0% or below (marked in red), it is clear that recessions began around those dates (obviously, we don’t include the occasions when [ ] growth had risen through 2.0% following the recessions [before falling back below 2%]). Recent economic numbers show contraction has already begun. Investors may not have to worry about whether the economy might plunge back into recession for much longer. Increasingly, it looks as though the plunge has already begun. In short, only in retrospect did we know that we were "following a recession." ECRI's Coincident Index follows a similar pattern and has the same issue. The YoY change in their index has only fallen below 2.0% for one month - January of this year - before rebounding to 2.4% in February. By contrast, after the 2001 recession ended, it meandered below 2% YoY for 24 months before finally resolving higher. Today in 2012, are we still "following a recession" or not? The difference between now and 9 years ago is that we are 2 years+ rather than 1 year+ following the trough of the last recession, and intervening growth was stronger now than then. Any forecast that makes the judgment to set aside the 2002 data on that basis is necessarily making a judgment call, and is therefore subjective. So, with current real YoY GDP meandering just below the 2% level, is an imminent recession a certainty? 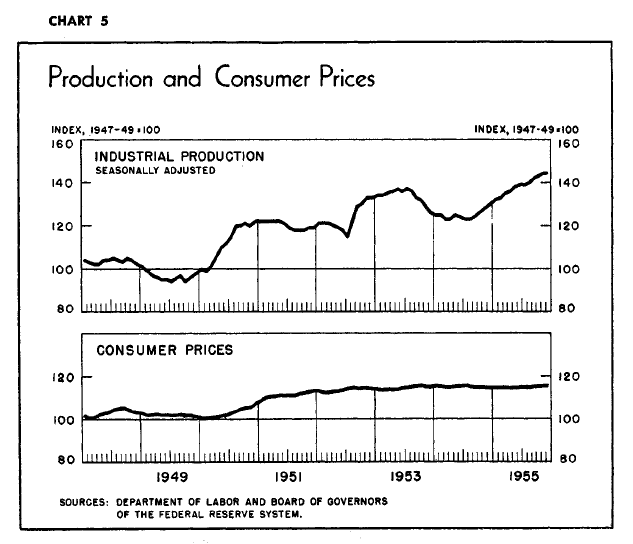 Post-WW2 data contrasting 1956 vs. 2002 indicates, to the contrary, that it a coin-flip. I dislike cherry-picking data. It almost always means that the writer started with a conclusion and reasoned backward to find support. There is some particularly egregious cherry-picked garbage that started with the King Report; namely, that December 2011 through February 2012 non-seasonally adjusted data showed that we have lost 1.8 million jobs. Therefore, presumably, the jobs picture is actually quite bleak. This then got repeated by Art Cashin on CNBC. Note that once we strip out the seasonal adjustments, the last two months of job data have been the best bar once in the last 12 years. Apparently undeterred, when called on it, instead of just admitting he goofed (nobody's perfect after all), Cashin doubled down, claiming that he was simply following Lakshman Achuthan's lead in not accepting seasonal adjustments since the recession and looking at YoY data. In the first place, Achuthan's rejoinder to my critism of ECRI's recent recession call defense - that recent seasonal adjustments following the 2008 recession may be overstating wintertime growth - besides being cherry-picking itself, since ECRI apparently has not historically primarily relied on this mode of measurement, overstates the conclusion that should be drawn. If we're not sure we can trust seasonal adjustments, and they conflict with YoY data, that does NOT mean we should accept the YoY data as the more reliable picture of the present condition. It means that WE DON'T KNOW which way of looking at the data is more accurate in depicting the present condition. On a YoY basis, the last 12 months have seen the 3rd best job growth in the last 12 years. There is not a shred of credibility in the claim made by the King Report, the original Cashin claim, or the revised Cashin claim. Rather than repeating the claims at other business sites, it's time to throw out the garbage. Let's start with the treasury market, where we've seen a sell-off across the curve. 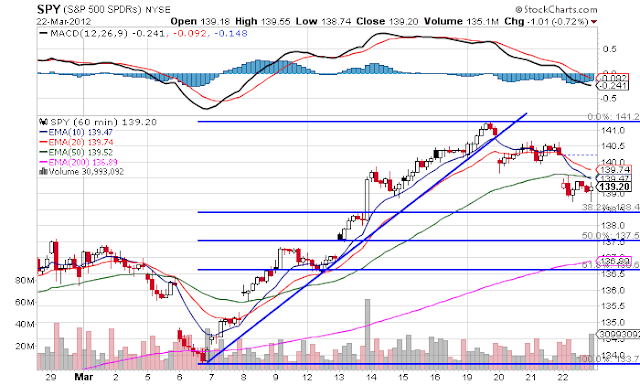 From a technical perspective, what's important with these charts is the degree of overall technical damage. 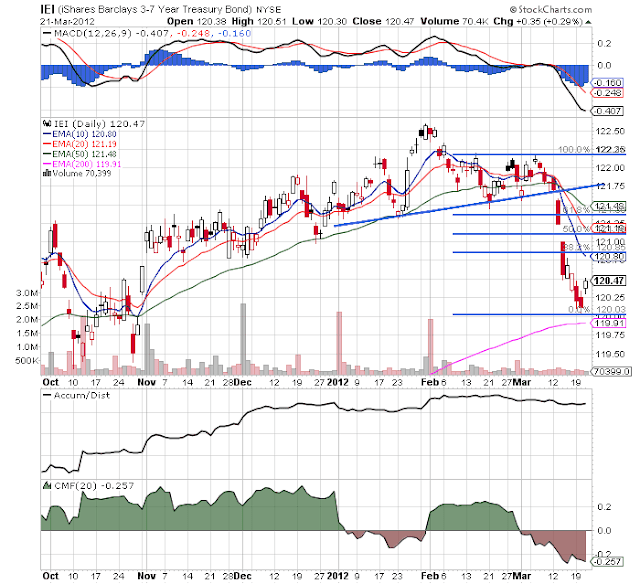 All the shorter EMAs are now moving lower; the MACD's are negative, money is flowing out and the Bollinger bands are widening, indicating increased trading volatility. 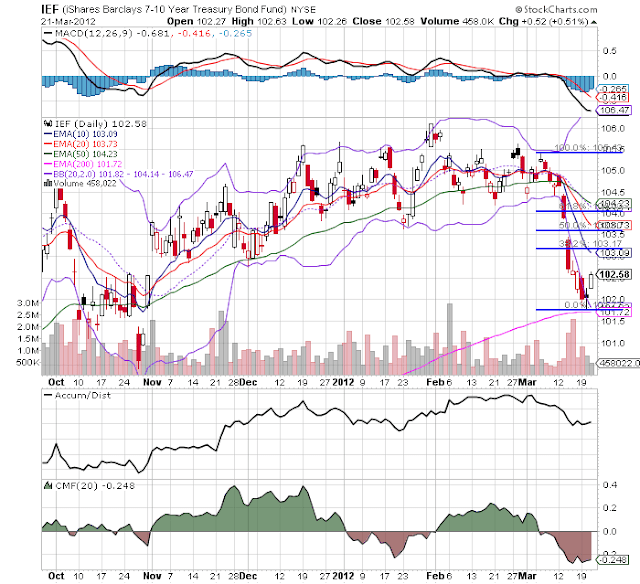 Expect a rebound into the respective Fib level of the 10 day EMA as a rebound trade, followed by either a technical consolidation or more lower. 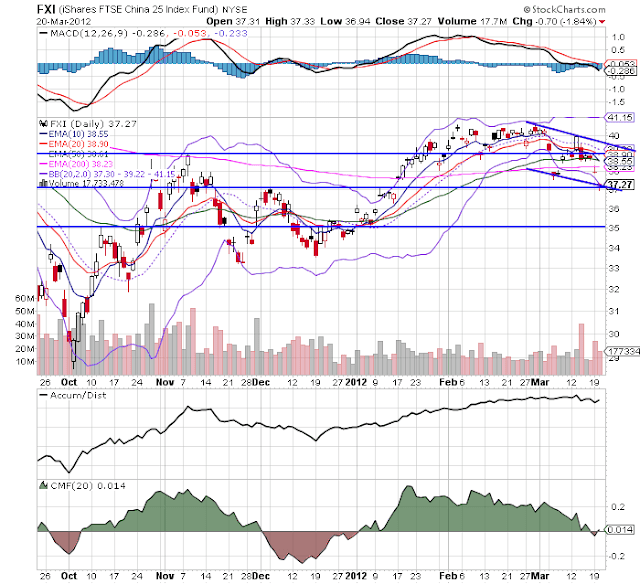 Yesterday, I noted the Chinese market should be cause for concern. Let's look at two other developing markets. The Indian market is consolidating, and has been since the end of February. On the good side, we see in increased volume flow. 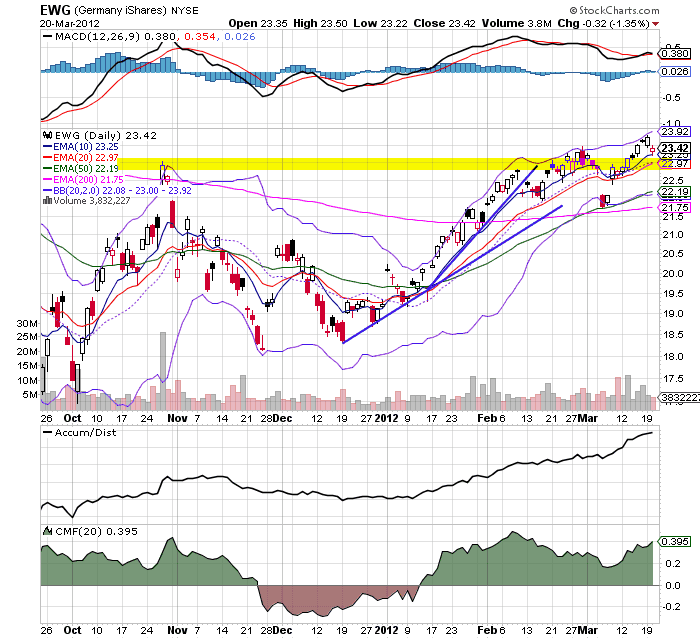 However, the shorter EMAs are negative and the MACD is declining. 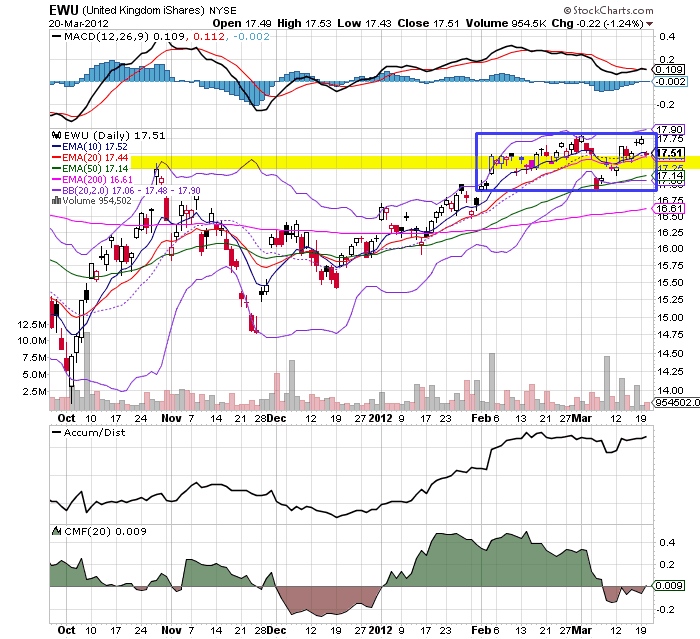 Also note the prices are consolidating around the 200 day EMA, which is the delineation between bull and bear market. 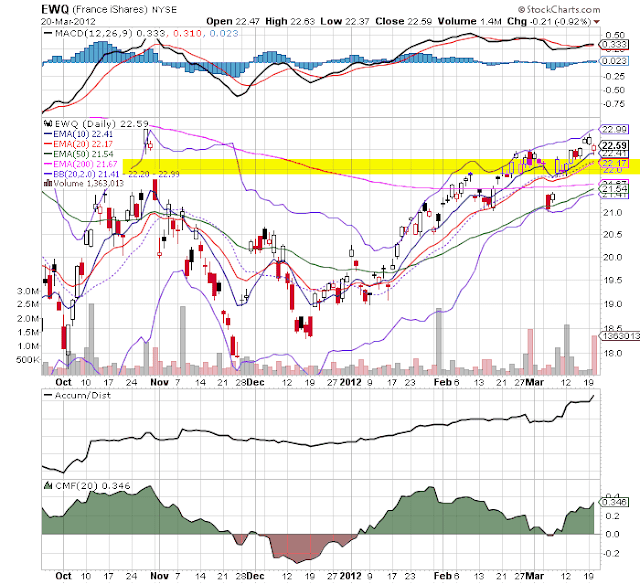 The Brazilian market has broken through resistance, but its overall momentum has stalled. Prices are drifitng lower, although their move lower is very disciplined. 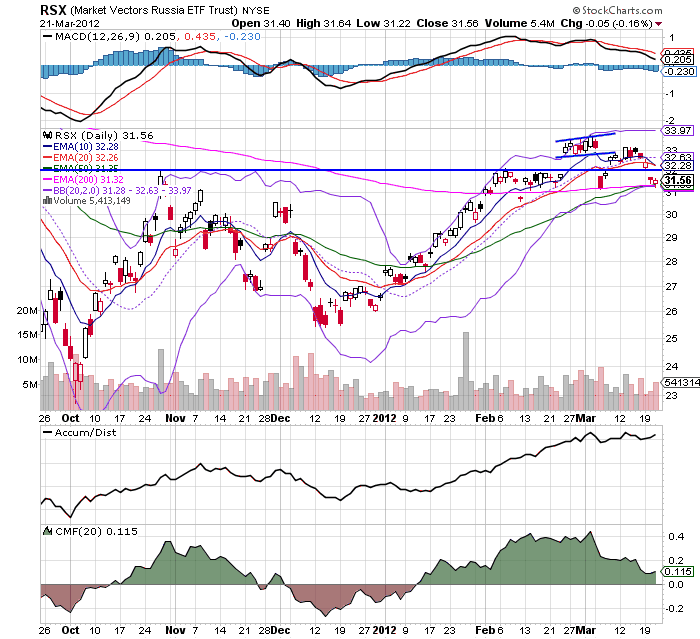 The Russian market is very similar to the Brazilian market. It's broken through resistance, by is now consolidating right around the 200 day EMA. 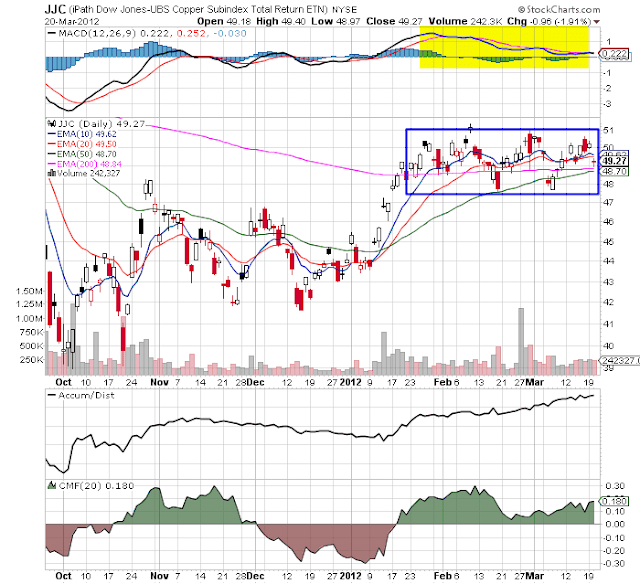 The lack of upward momentum in the BRIC markets leads to the question; can the US markets -- which are in a decent rally -- continue to move higher, or will the lack of upward move in these markets pull the US down? 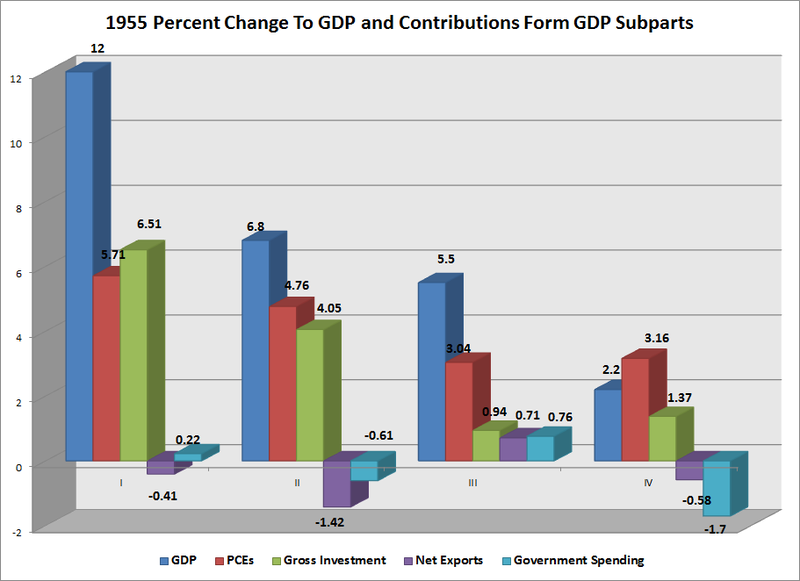 The chart above shows the percentage contributions that PCEs contributed to GDP growth and the contribution of various PCE sub-categories to overall growth. Notice the large increase in durables in the first two quarters of the year. This number decreased a bit in the third quarter and went negative in the fourth. Non-durables contributed in the second and fourth quarters while services picked-up in the third and fourth. 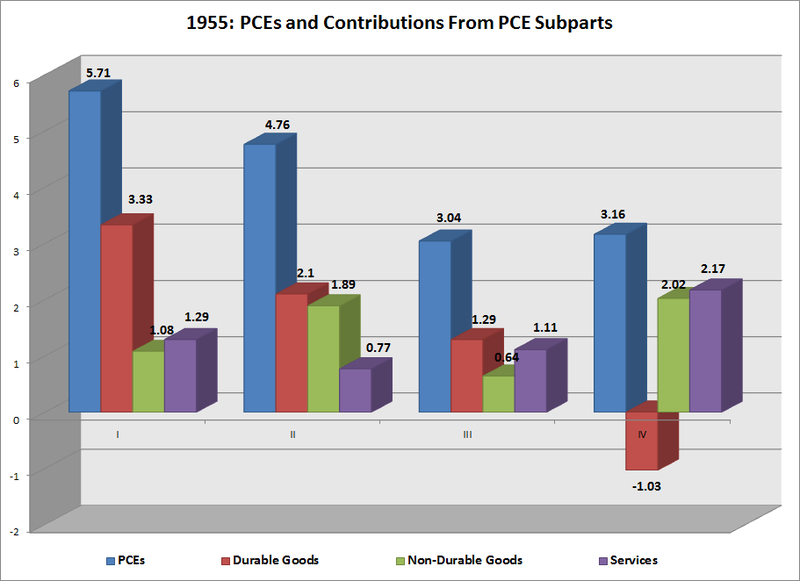 Notice the durables goods rose a bit, but remained at a lower percentage of total PCEs. This is the natural development of the economy becoming more centered around the home. 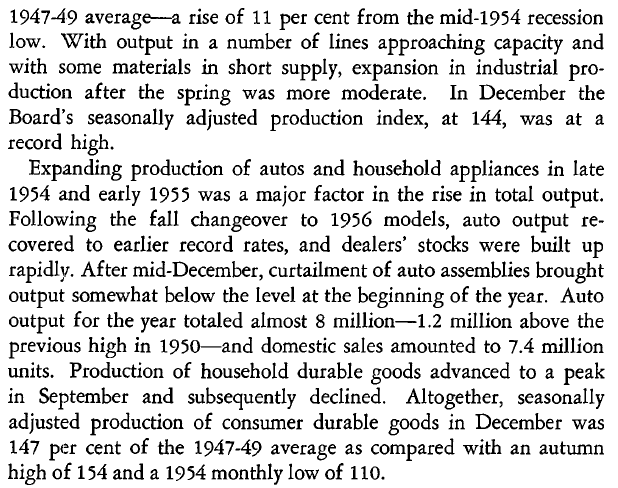 As people moved into more and more houses, they wanted more and more non-durable goods (clothes, etc...) and services (repairmen etc..). This is one of the primary reasons why housing is so important to an economic expansion -- it creates a tremendous number of ancillary benefits. 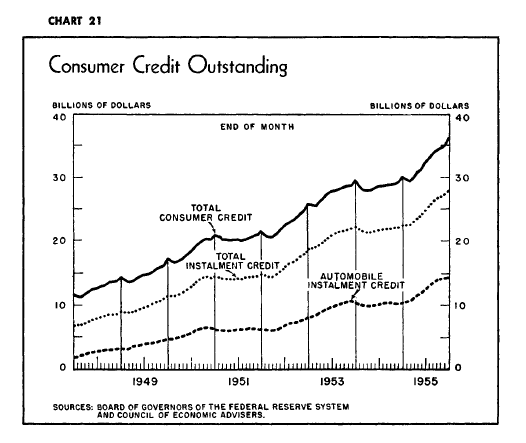 The above two charts show that consumer credit was an important part of the expansion. The top chart shows the importance of mortgage credit outstanding, along with the government's promotion of home ownership as a policy goal. The lower chart shows other consumer credit, and also shows a tremendous amount of growth. This week I am updating my outlook from January. Based on a decline in long leading indicators that bottomed about 12 months ago, I expected weakness but no recession in the first half of the year, followed by stronger growth in the second half, tempered by whatever happened to the price of gas. In the past two days I've pointed out that neither consumer spending nor refinancing supports the recession thesis being put forward by a few prominent forecasters. Today let's turn to a couple of employment indicators. Far from turning down as it did in advance of both most recent recessions, it is still rising strongly. Note that temp hiring doesn't just decline, it turns YoY negative well in advance of the economic contraction. It is nowhere to be seen now. The point here is that entirely different trajectories are taken on the way into recession vs. the way out. Even initial claims between 325,000 and 350,000 were consistent with very low positive, or even negative monthly payroll prints. No such pattern is present now. If last month gets revised down below 200,000, maybe then we have something to talk about. But virtually every month in the last year has been revised higher after the initial report. In summary, neither temporary employment nor the trend in initial jobless claims vs. payrolls is consistent with either an ongoing or even a near in time recession. The FDIC's quarterly banking profile came out a few weeks ago. It's been awhile since I've looked at this document, but considering the Fed released their stress test last week it seems appropriate to check in on the health of the nation's financial institutions. Lower provisions for loan losses, reflecting an improving trend in asset quality, lifted fourth-quarter net income of FDIC-insured commercial banks and savings institutions. Fourth-quarter earnings totaled $26.3 billion, an increase of $4.9 billion (23.1 percent) compared with the same period of 2010. The year-over-year improvement in profits comprised a majority of insured institutions. Almost two out of every three banks (63.2 percent) reported higher quarterly net income than a year ago, and only 18.9 percent were unprofitable, compared with 27.1 percent in fourth quarter 2010. The average return on assets (ROA) rose to 0.76 percent, from 0.64 percent a year earlier. The chart above shows that overall new income dropped sharply in 2008 and 2009, but that banks have returned to profitability since then. Also of importance is this has been going on for two years, giving the banks time to heal from the excesses of the early 2000s. Net charge-offs totaled $25.4 billion in the fourth quarter, a decline of $17.1 billion (40.2 percent) from a year ago. The fourth-quarter total represents the lowest level for quarterly charge-offs since first quarter 2008. This is the sixth consecutive quarter in which charge-offs have posted a year-over-year decline. Improvements occurred across all major loan types. The largest declines were in credit cards (down $5.4 billion, or 42.2 percent), real estate construction and land development loans (down $3.3 billion, or 62.4 percent), residential mortgage loans (down $2.4 billion, or 31.8 percent) and loans to commercial and industrial (C&I) borrowers (down $2 billion, or 43.5 percent). 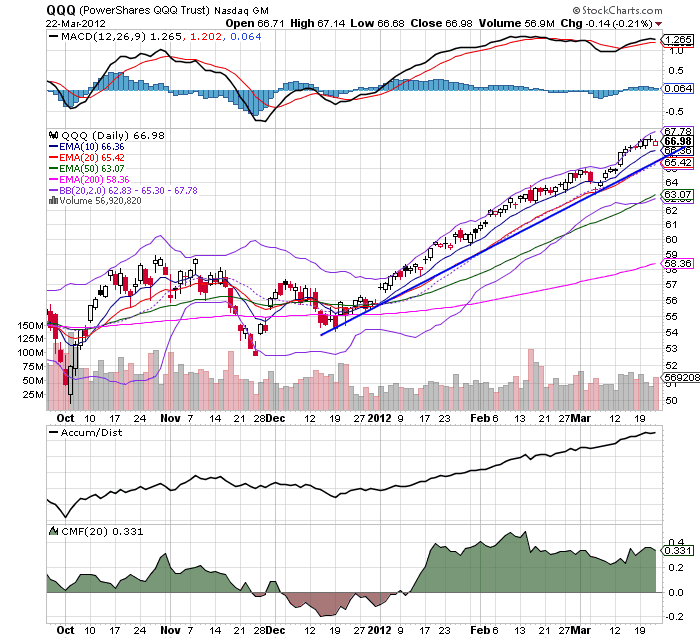 The above chart shows two distinct trends. First, until the 1Q10 we see an increase in quarterly net charts off and the quarterly change in non-current loans. However, since then we've seen both decrease in value. It's important to remember that, given the depth of the problems in the financial sector, it takes more than a quarter to solve the problems caused by a number of bad loans. 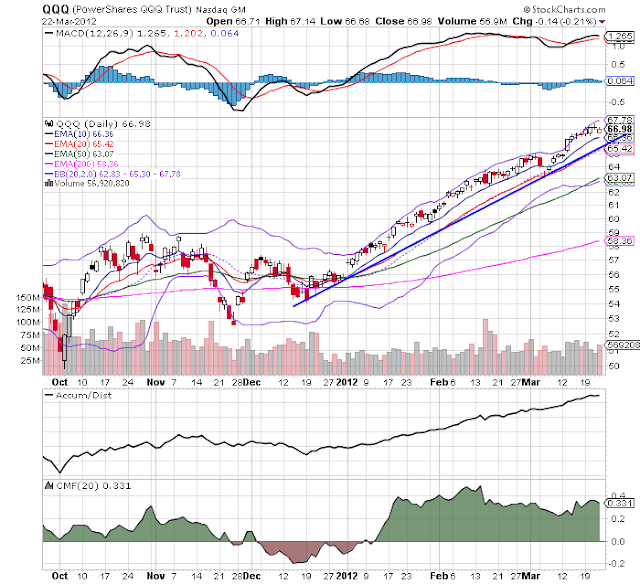 However, the chart above indicates the industry has been racking up more than a few quarters of good news. 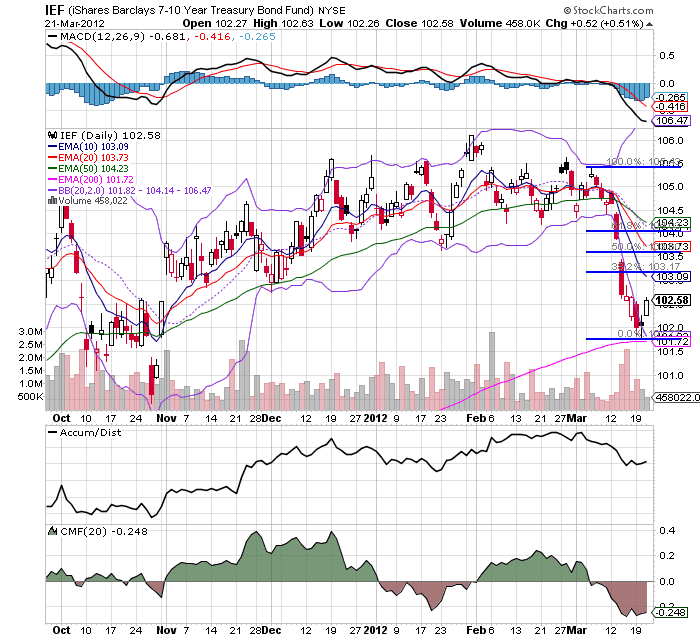 The above chart of total net charge offs is also very significant. After peaking at very high levels for banks with more than a $1billion in assets, we see a large and significant decline in this number. Smaller banks are still higher by historical standards, but they too have come down from their high levels. 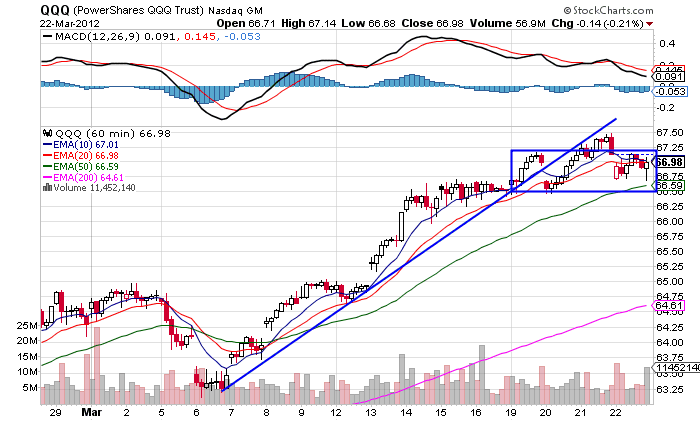 Both the SPYs and QQQs are in an uptrend. 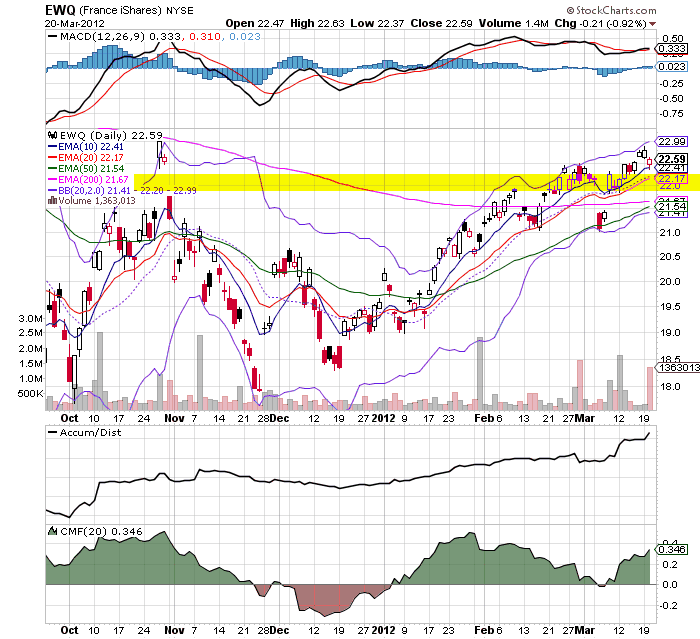 Both have rising A/Ds and CMFs, and both have an MACD that has given a buy signal. The IWMs, however, have not confirmed the rally -- at least not yet. 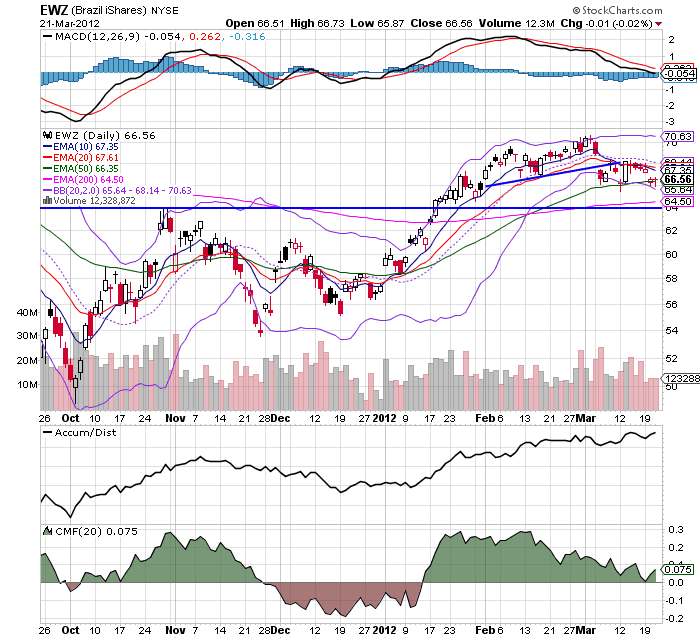 Copper is still trading around the 200 day EMA, with little help from the EMAs in terms of direction. 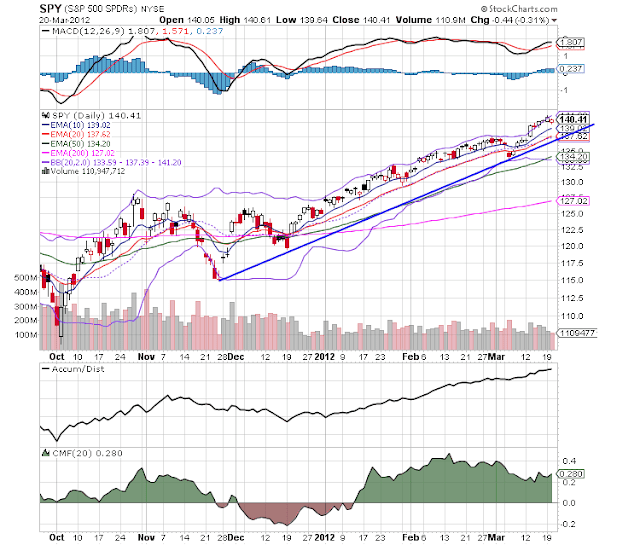 However, we do see an increase in volume inflows since the end of January. Both the French and the German markets have broken through resistance. 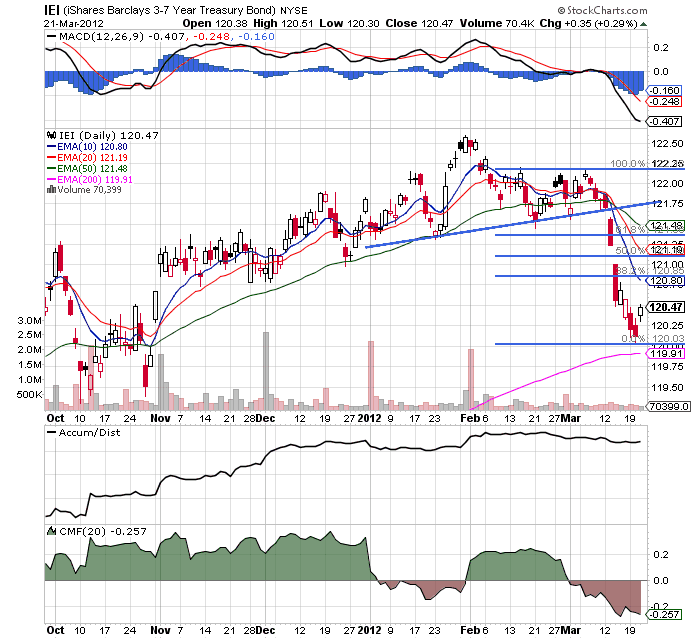 Yesterday's action took both down to their respective 10 day EMAs. 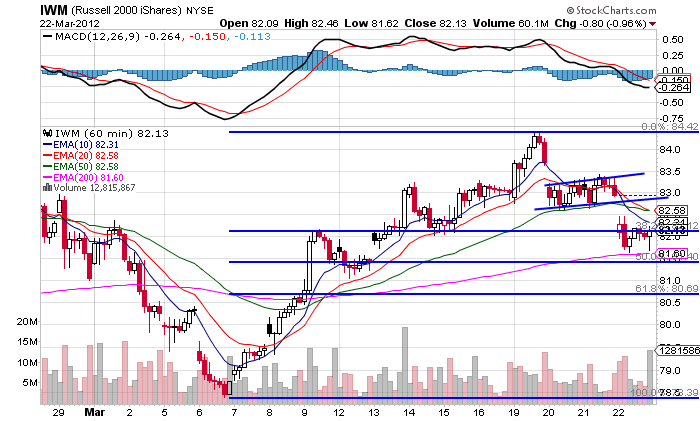 Both also have rising volume. 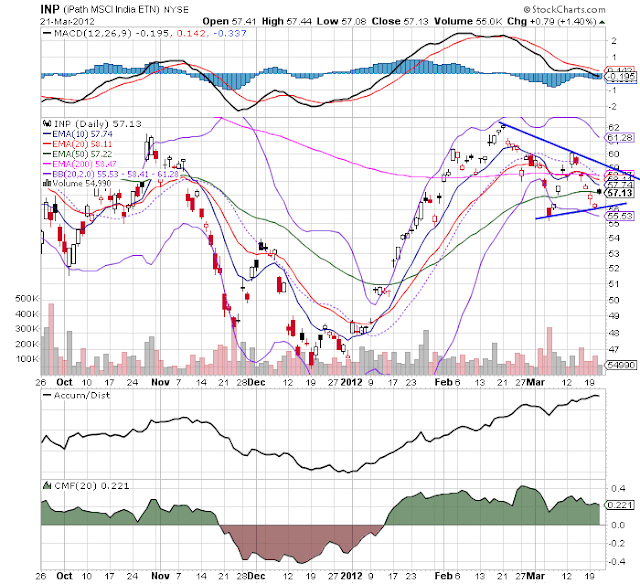 While the respective MACDs have or are about to give a buy signal, momentum has been dropping since the beginning of February. Although prices broke through early November highs, they couldn't get much higher. For the last month, they've been drifting lower. While we haven't seen anything like a crash, we are seeing a downward drift, right around the 200 day EMA. Also note the declining momentum and CMF. 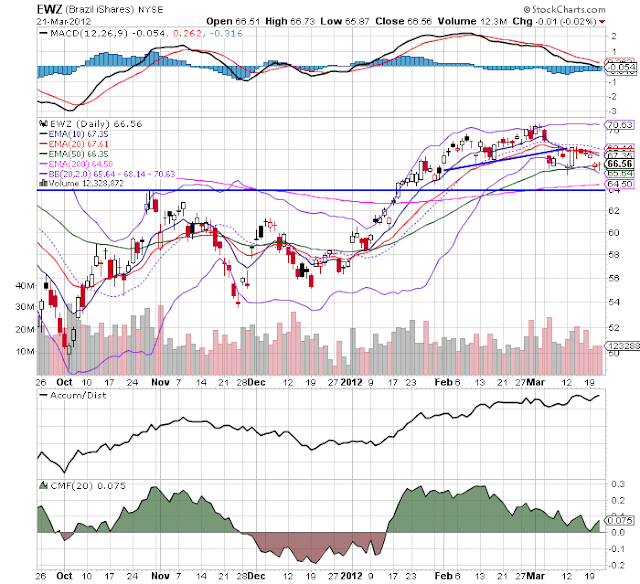 Are Higher Food Prices Coming? 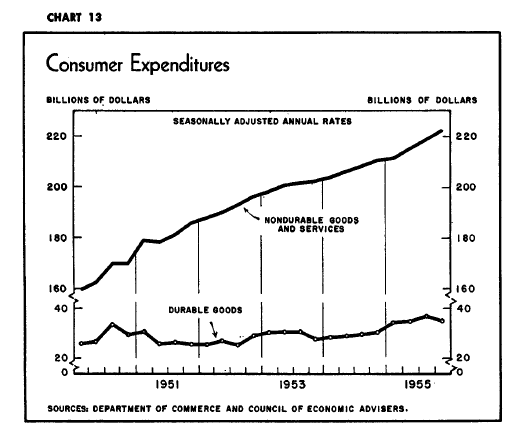 Why haven't consumers stopped spending?